A quick roundup of mega signup bonus offers from Chase. Did you know that all Chase cards give free car rental CDW insurance in Israel? Signup bonus: 40,000 Chase Ultimate Rewards points for spending $3,000 within 3 months plus 5,000 points for adding a free additional user. The annual fee is waived for the first year. 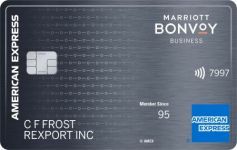 The Sapphire card is a great all-around card thanks to no foreign exchange fees and a 7% annual points dividend which means that you’ll earn at least 1.07 points per dollar spent. You will also earn 2.14 points per dollar spent on restaurants, airfare, hotels, car rentals, charges in airports, travel agencies, caterers, timeshares, trains, buses, taxis/limos, ferries, bridges, tolls, and parking. On the first Friday of every month this year you earn 3.21 points per dollar on dining. Chase Ultimate Rewards points are extremely flexible. They can be transferred instantly to several great airline and hotel programs like United (Star Alliance), British Airways (OneWorld), Korean (Skyteam but they also have a great Alaska and Hawaiian Air chart partner chart), Southwest, Hyatt, and more. You can even transfer points to Amtrak if that’s your thing. Those program each have their niches where your points can be worth a ton. A $1,300 last minute ticket can be had for as little as 9,000 points, a $6,000 business class ticket for 115,000 points, or a $1,500 hotel room/villa for 25,000 points or just 12,500 points plus $150 with points and cash. Read more about the Chase Ultimate Rewards program in this post. There are no foreign exchange fees. Southwest charges a variable amount of points based on the airfare. Starting 03/31 this will get a bit pricier. For example a flight from Los Angeles to S. Francisco from 03/12-03/18 is currently $116. Or it’s points it’s 5,358 points plus $5. So 5,358 points saves you $111 or a value of 2.07 cents per point. On other tickets you may only get a value of 1.8 cents, but it will stay within that range. On 03/31 that ticket will cost 6,252 points for a value of 1.78 cents per point. If you don’t fly you can also get $500 in gift cards to dozens of stores for the 50,000 points. 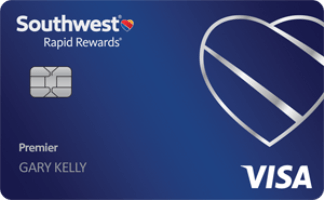 The great thing about Southwest is that you can cancel award travel tickets and have the points redeposited into your account for free. That means during a fare sale you can speculatively book a ticket and not worry if your plans don’t work out. Or if the paid fare goes down just rebook your ticket and get back points. And everyone gets 2 free checked bags. If you collect 110,000 Southwest points in a year from select sources (including all points from Southwest credit cards and transfers from hotel programs like Hyatt) you can to bring along a companion for free on all of your Southwest flights for the remainder of the year and for the entire following year. That’s good on paid flights and on award flights, so you can effectively get twice the value out of your points . Signup bonus: 50,000 BA Avios for spending $2,000 within 3 months. With short-haul flights starting at just 4,500 Avios you can get a TON of free travel from your Avios. Plus BA doesn’t charge any last minute expedite/close-in fees, doesn’t collect massive fuel surcharges for flights on American within the Western Hemisphere, Qantas within Australia, or worldwide on Aer Lingus, Alaska, Air Berlin, or LAN, and only charges $2.50-$10 (just the 9/11 fees) to cancel a domestic award online. 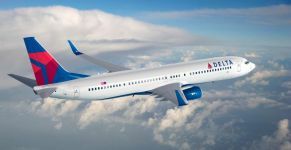 This program has great one-way bargains like 4.5K miles from Miami to the Caribbean, 7.5K miles from JFK to Bermuda, 12.5K miles from the west coast to any of the Hawaiian islands, and 12.5K miles from Boston to Ireland, all without fuel surcharges. 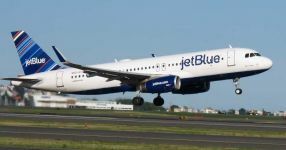 In just a month from now you’ll also be able to book all USAirways flights with Avios. Want to learn more about the BA Avios program? I’ve written up an entire knowledgebase of facts that you can peruse. 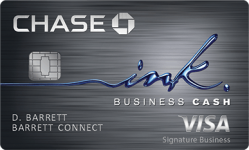 –Chase Ink Plus and Chase Ink Bold business cards. Signup bonus: Both of these cards give 50,000 bonus Chase Ultimate Rewards points each for spending $5,000 within 3 months. 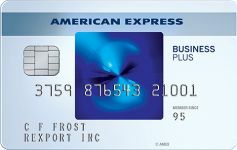 The Ink Plus is a credit card and Ink Bold is a charge card. They both have no annual fees for the first year, no foreign transaction fees, and 2 free lounge visits per year. Other awesome Chase cards with lesser published signup bonuses that you can add onto a “3BM” (using 3 different internet browsers to apply for 3 different cards from the same bank at the same time) include the Chase Ink Cash (which has no annual fee and has 5 point per dollar and 2 point per dollar categories along with free lounge passes), Chase Freedom (which has no annual fee, gives 5 points per dollar in rotating categories, and 10% bonus points if you have a Chase checking account making it 5.5 points per dollar), the Chase United Explorer (which gives free luggage, free primary car rental insurance in most countries worldwide besides Israel, expanded saver and standard award ticket availability, priority boarding, and more). There is also a business version of the United Explorer (click on “are you a business owner” on the Explorer application) and a Club version of the United card (click on the Club tab on the Explorer application) that gives 1.5 miles per dollar spent, 2 free checked bags per person, a United Club membership with unlimited free lounge and airport terminal access for you and your family, and waived expedite fees on United awards. 48 Comments On "Current Mega Signup Bonuses From Chase"
Im very intrigued with that line. Now avios points will be even more versatile in the u.s specifically. Is there a chart or article some were to get some more information on that? It’s actually the best part about the whole darn merger. USAirways joins OneWorld on 03/31, so by default you’ll be able to use Avios for USAirways flights on 03/31. It seems like its basically the same as using avios to book on aa. Wow that’s pretty great stuff. Correct, just 30K each way. And their excellent business seat will be just 60K. However we won’t know until 03/31 what the story is with fuel surcharges when flying USAirways across the pond. 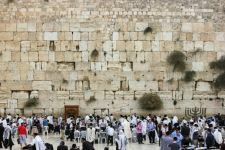 For the record you can currently fly Air Berlin to Israel for 30K each way as well. They don’t have fuel surcharges. @Dan can you tell me again how one can pull off the 100k points on southwest for signup by opening 2 cards? And is there annual fee? 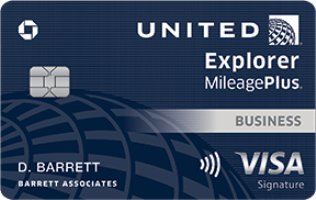 The United card can still be matched to 55,000 miles plus $50 by secure messaging them. Also if you ask them to waive the British Airways annual fee they will by secure messaging them. @Dan, will I get sign up bonus if I reapply chase sapphire preferred? I cancelled mine 9mo ago. Thx. I have the chase ink and bold. Can I reapply and get new ones and get the bonuses or do I have to cancel the ones I have first? What exactly do you sm, saying what? That you want to be matched to the better offer that your colleague got. I would like to sign up my wife and myself for the southwest cc. 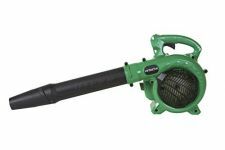 If my wife has her maiden name on her license, how can i combine ours together for the 110k? 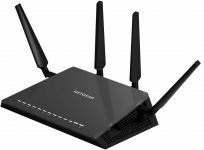 Will it work on its own, or is there something I need to do? which of the above chase cards has car rental collision insurance like the amex cards that works for rentals up to 30 days or up to 45 days if you buy on your amex primeum car rental insurance ? how do i get the lounges offer for ink customers, whats that code that they ask for? @Dan, I just applied for 3 chase cards and they only approved 1 saying that I only had credit history for less than a year even though its very good. I have the Sapphire preferred and now tried applying for 2 bold and a BA card but was only app for 1 bold. Tried reconsideration but they said the same reason- not long enough history for more cards. Any suggestions? is there any reason not to combine miles from saphirre account and freedom account etc?? when will we be be able to combine our AA miles with our US airways miles? Dan if I have the SP and BA visa signature card, wat would be my best bet for a 3bm? sorry to bring up simple question have shappire to close down should i move all miles to freedom before doing so? do 3bm’s need to be different browsers as explorer, crome, etc. or is it enough to be 3 different windows in the same browser? would like to combine my miles with wife’s but she has credit card on maiden name will chase punish me for combining? They have 4 versions of the card. But their points generally stink. I’d take 50K airline miles over 70K marriott every single day. I have multiple of the same card active for different businesses. Only United gives free primary coverage in the US. But all are free primary outside the US. Did you see comment 9? Call the number on your card. Boilerplate stuff, call back and be sure to offer to move around older lines, etc. Did you offer to move around your existing line of credit? Hopefully at some point after that. Depends if you want to include business cards in it or not. Either move them to another card or to an airline. Different browsers, IE, FF, Chrome, etc. If your address is the same it should be OK.
What number do I call for reconsideration with Chase? Regarding the BA card for 50K: before you sign up, I suggest contacting Chase via SM and ask for the 100K offer. When they tell you “ok”, as they did recently for both the wife and me, then go ahead and proceed with your app. my united explorer free year expiring soon. any rumors of free year with united club or sapphire preferred? suggestions? at one time read if you cancel united card you loose your points, what is the story? 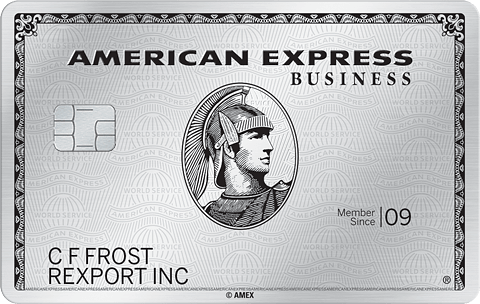 also any news about bonus transfer of amex to avios? If I want the one offer to go to TLV(I did Avios offer once) Which card should I go after? There are a couple 100K offers you can ask about, there’s a 50K bonus for spending $20K and a harder to get 50K bonus just for keeping the card a 2nd year. Sapphire Preferred is free for the first year and you can sm for the club card as well to get it free for a year. 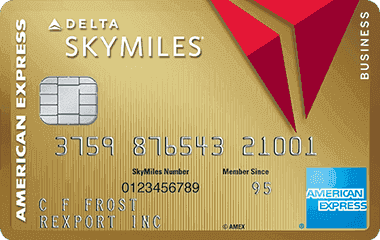 You don’t lose airline miles for closing a card. When there’s a bonus transfer I’ll write about it. 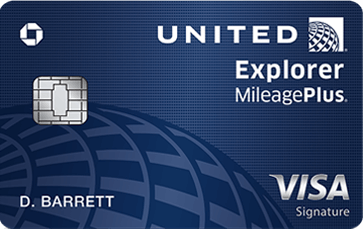 You can get United miles on the United card or on the Sapphire, Freedom, or Ink cards. if i applied yesterday from your links dan did i get these offers? Will it affect my credit if I just approved for a Freedom card three months ago? Dan, I have the Ink Bold and Ink Plus MCs. They waived the annual fees for both on renewal. How can I get the 50k signup bonuses on the Ink Visas? Last time I tried to apply for a business card, they would not approve me. Recon has tightened up for business cards for sole proprietors. A while back I remember seeing that the first year is free for the BA card. Is that still applicable? Is it safe to transfer UR points between siblings? Same last name, different address. any problem combining private and business accounts miles? meaning sapphire and ink? Will what affect your credit? Offer to close the MC if you apply for the Visa for the Visa savings program at Staples. tried getting them to waive 95 fee for sapphire using messaging bu no one to talk to im i waisting my time? any chance? When calling consideration should I deal with only one card per call or can I try approving multiple cards that were declined? If you downgrade your Chase sapphire preferred to the free version do they give it another pull to your credit and are your points still the same worth or do you specifically need the preferred card to get those valuable points? 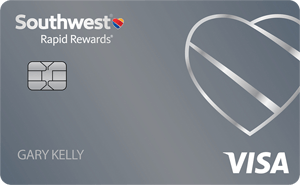 For the Southwest Companion card, does the “year” that I have to earn 110K miles work based on a calendar year, or when I joined as a rewards member? If calendar year, it would make sense to sign up for the 2 50K miles cards in Q4 of the year so that you earn the 104K miles January, no?